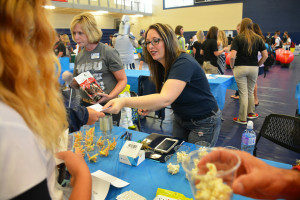 The small size of Missouri Baptist University allows for special events for prospective students. 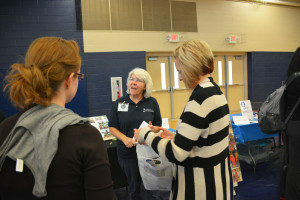 The university staff wants every prospective student to feel at home when they visit MBU. 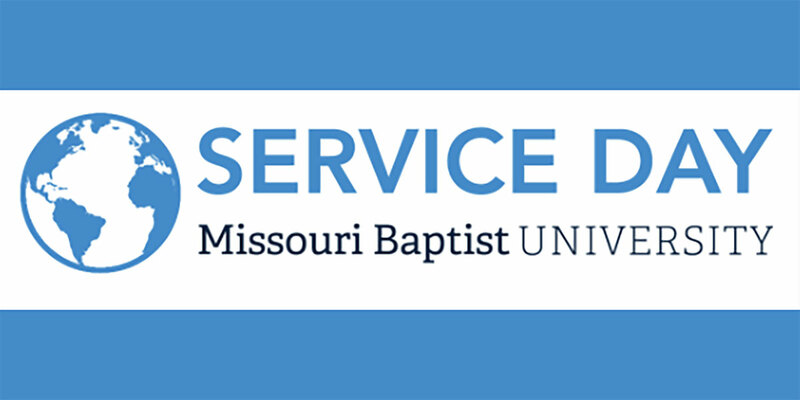 This day allows students to talk with professors, tour campus and residential halls, and see what MBU has to offer. 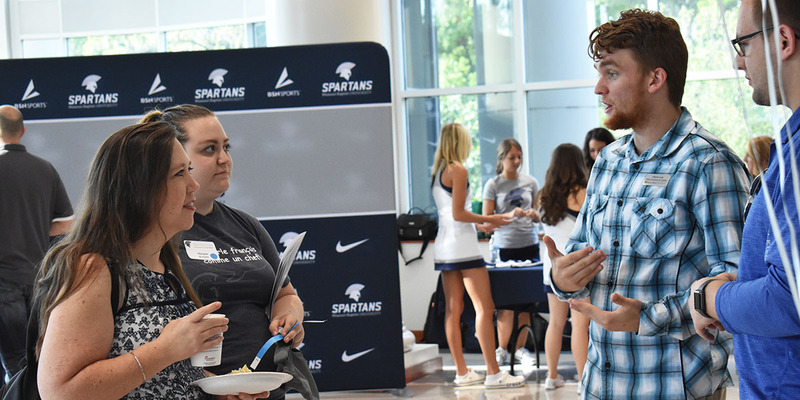 Chance Ludy and Bradley Clark (right) talk with a prospective student and her mom about Student Activities and the Student Government Association at the organizational fair Saturday morning. 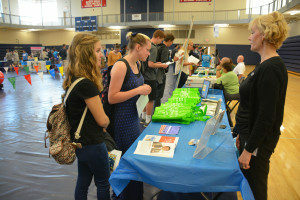 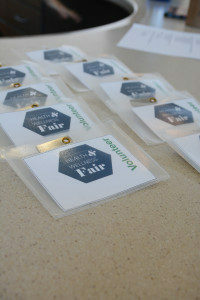 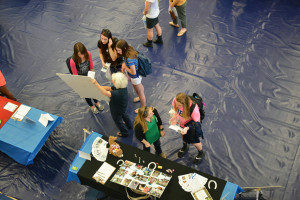 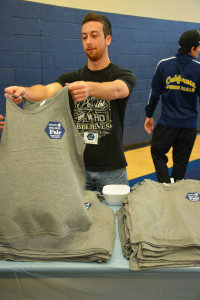 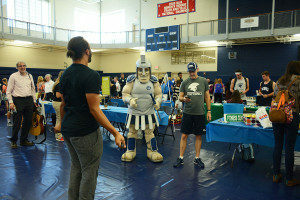 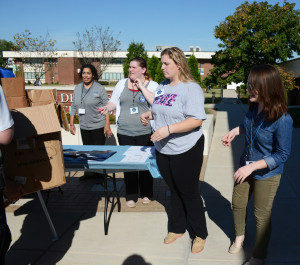 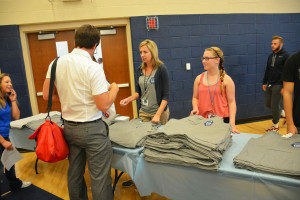 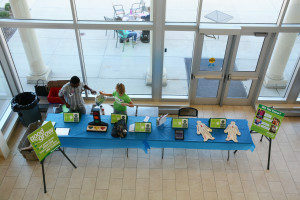 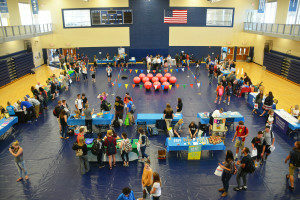 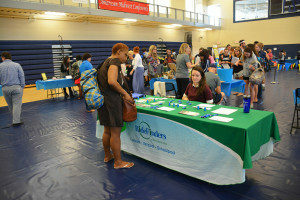 This year the Career Services office held the seventh annual Health and Wellness Fair. 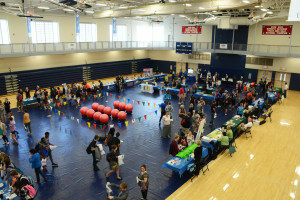 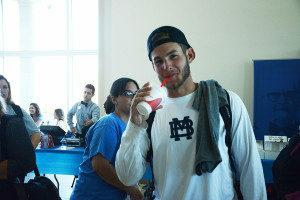 It featured 36 vendors, including Thrive St. Louis, Chick-fil-A and MBU’s very own Fitness Center.